Man by the end of this past week, it sure seemed like it had been a long time since I had last gotten out to do some fishing. 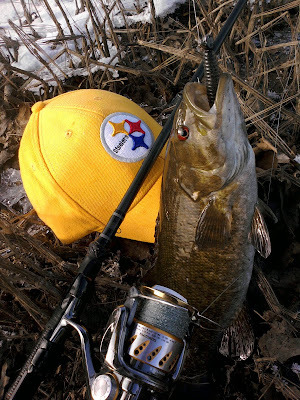 Fortunately, my schedule and my fishing drive finally came into sync this past week, and I was able to hit the river. 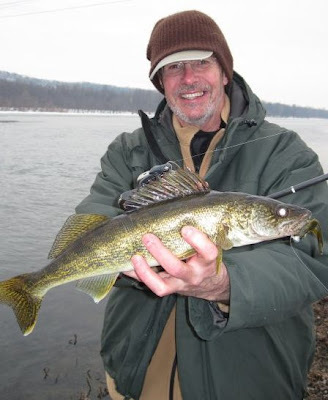 Three times I fished a nice ice- free section of water--twice solo and once with my Dad. All three trips were productive with numerous types of fish. 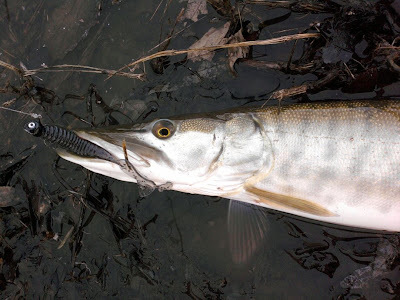 Dad and I each caught a small musky this past week, and he landed a nice walleye as well. 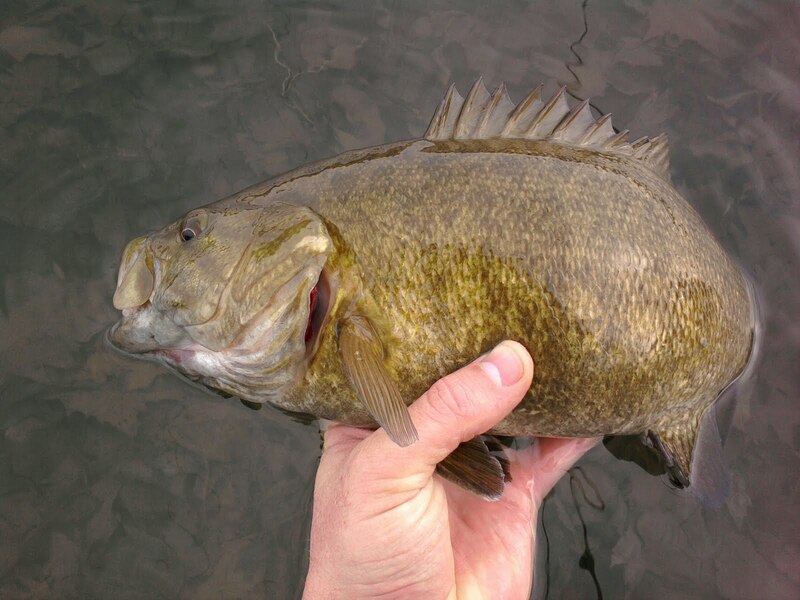 As usual, the majority of the fish caught were smallmouths, and most were good-sized fish in the 15 to 17 inch range--the largest being a nice 19+ incher. 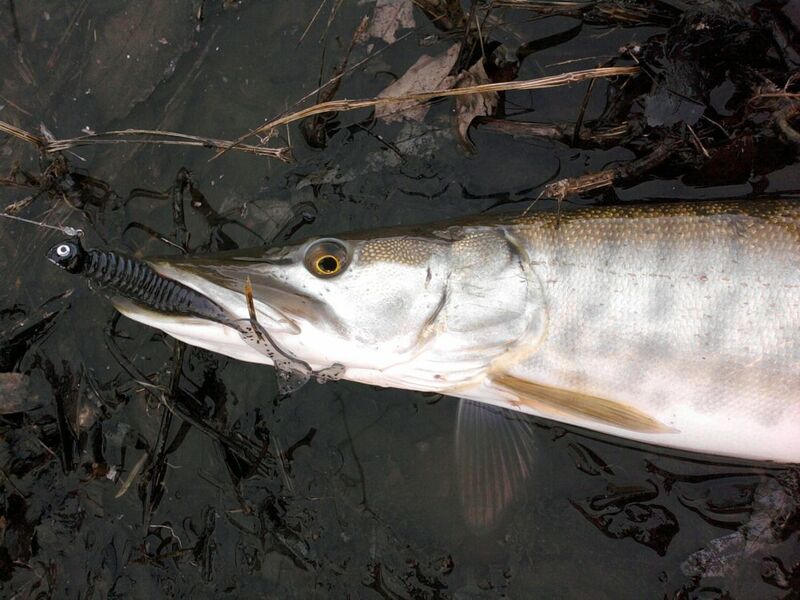 Also, as usual, most of our fish were caught on jigs and various soft plastics. However, I did actually land a few bass on a suspending jerkbait--including the largest fish mentioned above. 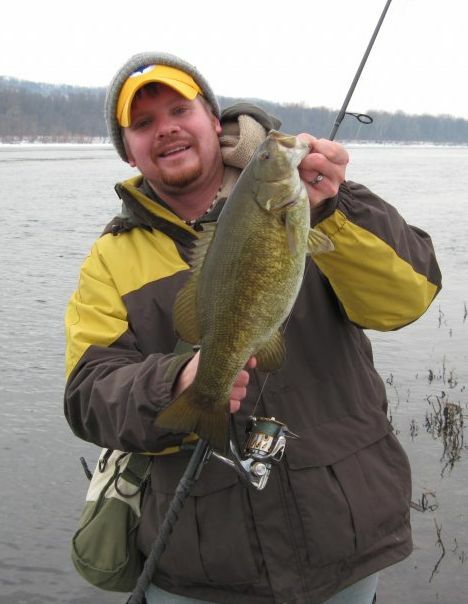 Considering it's January and conditions were pretty brutal at times, the bass were pretty aggressive and fought surprisingly hard this past week. I really couldn't have asked for more. Great post, you are a master at taking sweet photos. We need to get out together soon! BTW, I'm a Packers fan, GO PACKERS!!! Ha ha! Thanks Jeremy... I guess I won't hold that against you--at least for now. Sounds good, let me know what your schedule is like this week. Jeremy... I was hoping to go Tuesday or Wednesday, but it's not looking too good for driving conditions. Would like to be on the river right now though, I bet they'd be snappin'! Mayb we can shoot for next week some morning. I'll email you.